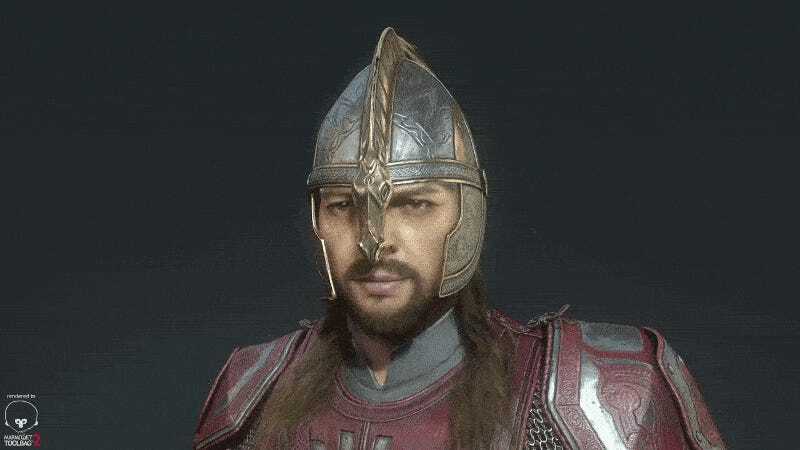 It’s one thing to draw or paint a character you like, and another to model them in high definition—as Nimlot26's version of Éomer (his version of the Karl Urban version of Éomer) shows. Nimlot26, AKA Georgian Avasilcutei, a character/environment artist from Romania, first posted about his Éomer project on the Polycount forums in June, with the final product getting uploaded last Friday. It’s a high-polygon model, with a triangle count of “roughly” 170k (in comparison, character models in Final Fantasy XV are at ~100k triangles each), with 8k resolution textures on the body, and 4k textures for the face and hair. In practical terms, this means that the model is very pretty. You can check out the rest of Nimlot’s character models here. One of them is NSFW, so watch out for that.